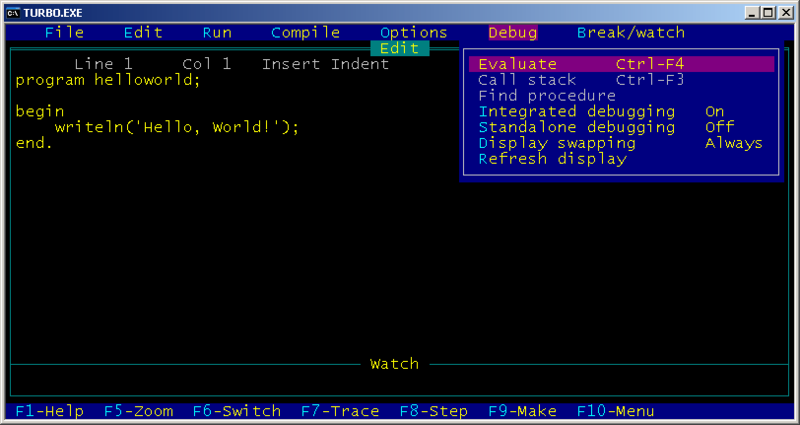 Turbo Pascal Beautifier with Tp5.0+ source code. wants treated specially in regard to case. indented relative to the first line of the comment. indented relative to the first line of the statement. Sets the number of spaces by which to indent each level. number of spaces will be prepended to each line of output. output to be started. Also determines if body closer (e.g. END, UNTIL) will be unindented with respect to the body. Causes reserved words to be output in upper/lower case. With -w- it would be unchanged. With -z- it would be unchanged.